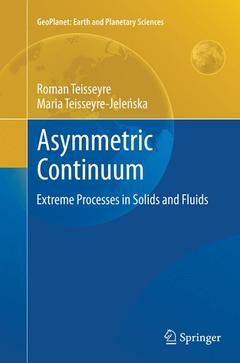 This book deals with a class of basic deformations in Asymmetric Continuum Theory. It describes molecular deformations and transport velocities in fluids, strain deformations in solids as well as the molecular transport, important in fracture processes. In solids, a separate problem relates to the displacements; their recording, e.g., by means of the seismometers, proves only the existence of the displacement derivatives and not a real displacement. However, the molecular displacements and new fracture criterion including the defect distributions and induced strains are defined in the book too. In fluids, the transport velocities and molecular strains describe the motion processes. The vortex motions are defined by means of the rotational transport; this approach leads to more complicated problems, like the turbulence phenomena. The interaction processes, including the electric and magnetic fields, and some thermodynamical problems and quantum theory analogies help to understand the extreme processes. Introduction: independent strain and transport motions.- Asymmetric Continuum: basic motions and equations.- Transport and float transport motions.- Vortices and molecular fracture transport.- Defect densities.- Structural and fracture anisotropy.- Induced strains.- Thermodynamic relations.- Mutual interactions: electric / magnetic fields and strains.- Quantum analogies.- Extreme processes.- Release-Rebound Processes and Motions.